Hello. I'm Lennie Mathews, Centre Director of Mathnasium of Brampton North West, your neighbourhood math-only learning centre. We help kids in grades 1-12 understand math by teaching the way that makes sense to them. IS YOUR CHILD MATH READY? CALL US FOR A FREE CONSULTATION. WE CAN HELP YOUR CHILD ACHIEVE THEIR GOALS IN MATH AND DO BETTER THAN LAST YEAR. My son math marks and i like the one and one that he received and the helped he received with his homework..the only draw back was the cost too high!!! Great teaching and my daughter ‘s math marks improved tremendously with additional coaching at Mathnasium. The instructors are professional and keep the needs of the students in mind as they work with the students. My daughter went from failing two math tests one week to passing her her next math test, a week later, with a 77%. She has more confidence when doing math now and doesn’t guess her answers now. She knows them! Mathnasium really helped my son with his Math. The teacher he was assigned to was great! I would highly recommend it to anyone! My son absolutely loved it.Teacher's were great and understanding they worked on my son's pace. I’ve been very happy with Mathnasium. The staff are very friendly and they really make sure the kids learn and understand the lessons. My son’s performance at school has really improved a lot since going to Mathnasium! He got an A on his first Math test since joining and is confident that he did well on the latest test he took last week. Yes, the fees are a little on the expensive side compared to a private home tutoring but it is definitely worth it and would highly recommend it! 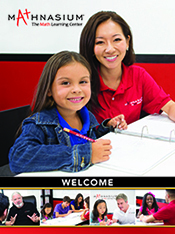 Enrolling my kids at this centre is one of the best decisions I have ever made.. the owner is very sincere in what he does and is extremely helpful and accommodating.. my daughter who is struggling a lot with her math is now gaining confidence with her numbers and I could not be more happier.. I gave this centre a 10/10 score but really it deserves to be scored more. We are very happy with the service that this location provides. Lennie and his team are professional and attentive. I like that the instructors speak quietly as to not disturb or confuse others while they work. Their recommendations for help at home have also been very helpful. My grandaughter is enjoying her time at Mathnsium. I hope the individual attention will help her improve her math marks at school. My daughter has always struggled with math and I wasn't sure she would be able to handle advance high school math - so far so good it's helping her immensely. Luke is feeling more confident in his math skills and no longer gets stressed about tests. His marks have definitely improved. It's been great experience for us knowledge and experience people. My kids loves to go to Mathnasium. After doing one hour of work , they fell they only did half and hour. They look forward to their next visit. My son is getting more confident with his math skills. The friendly staff make him feel more at ease.